A leather riding jacket is required to protect the rider from falls and crashes. It should not only be aesthetic but should be well constructed to provide safety to the rider in case of accidents. There are different types of best motorcycle riding jackets like classic style, cruising style, touring style, off-road style, and racing style. The classic style jacket is a waist length jacket of heavyweight. Its features are off- center slanted front zipper, a snap-down collar which is large and folded, a big-buckled wide belt, many zipped pockets and cuffs, and a small change pocket which is equipped with snap-flap. There are other zippers, snaps, and adjustments to prevent the jacket from flapping at high speed. 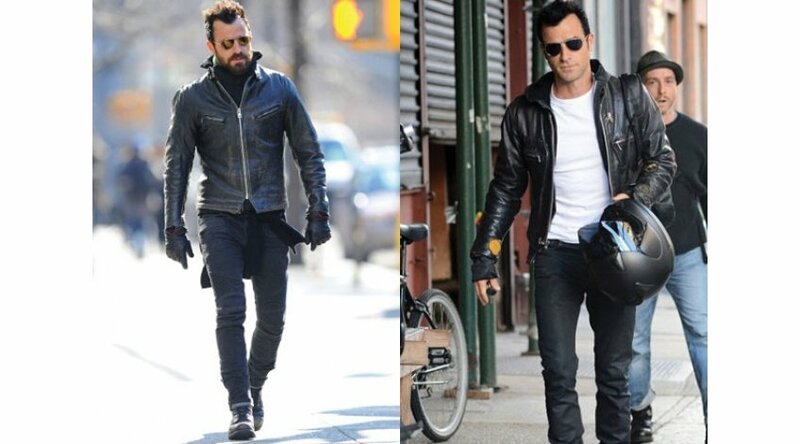 The leather motorcycle jacket is made from buffalo hide. It is aesthetic, dark with stretch paneling, and Super fabric reinforcements. It has perforations in strategic locations besides elbow and shoulder armor. A pocket is provided for back armor which is optional. There are elbow inserts of Super fabric and protective shoulders besides double layer elbows. It is provided with the shoulder and arm stretch inserts, besides adjustable waist and articulated sleeves. The hands are provided with zippered cuffs, and the pockets on the hands have a key clip. In the interior, there is device pocket which is waterproof and stretch mesh lining for winking moisture. Collar and cuffs have neoprene inserts. In the interior of the custom leather motorcycle jackets are cargo pockets besides belts and jeans loops. It is provided with subtle reflective highlights. A motorcycle jacket is a very important gear that a rider needs to protect him. In the earlier years, a riding leather jacket design was a fashion statement but it is necessary to remember that a riding jacket was constructed for its function long before it became a fashion statement. The first leather riding jacket was adapted from the bomber jackets used by the pilots. The leather was durable and also acted as an insulator. This made leather the best fabric for riding jackets As years passed riding jackets were also modified and people living in warmer climate got the mesh and textile jackets for riding which provided riders with plenty of air flow. The leather is considered the best material for ZippiLeather custom riding jackets for its durability and protection. The weight of a leather jacket used by a highway patrol in California is 3.5 ounces. Leather can also conform to the contours of the body and protect the rider in case of an accident. It is said that the thicker the leather the better it is for protecting the rider. A lot of factors affect a riding jacket such as the construction, tanning, stitching, and finish. Presently motorcycle clothing of leather is subjected to a lot of destruction testing before it is pronounced suitable for riding jackets. These tests are impact resistance, abrasion resistance, and burst strength which guarantees the suitability of the leather jackets for riding. A riding jacket should not only be versatile but thick to protect the rider in case of an accident.